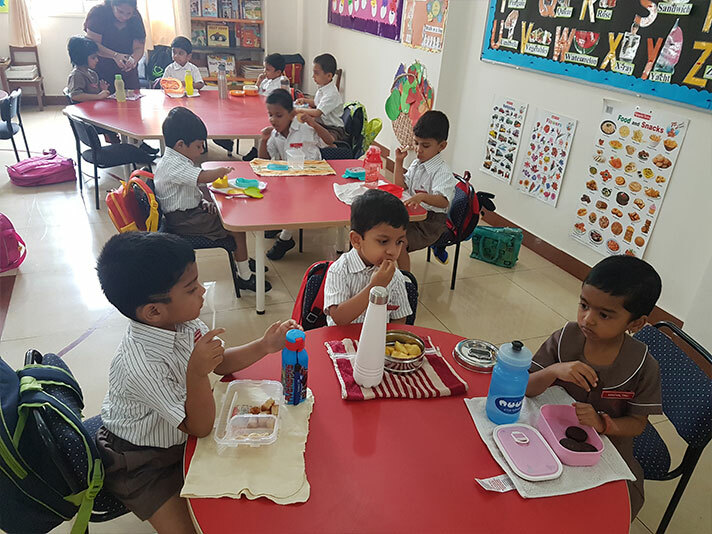 The first day of school is a milestone for both parents and children wherein both go through a mixture of emotions. 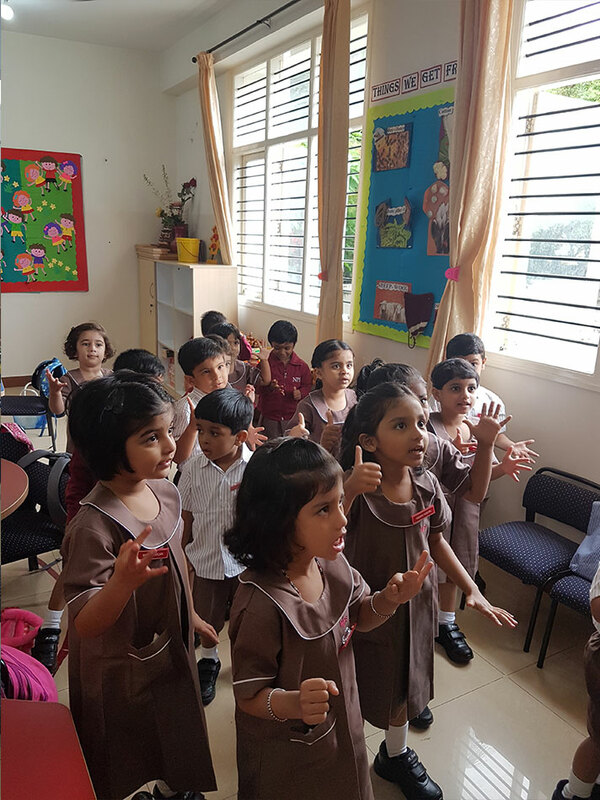 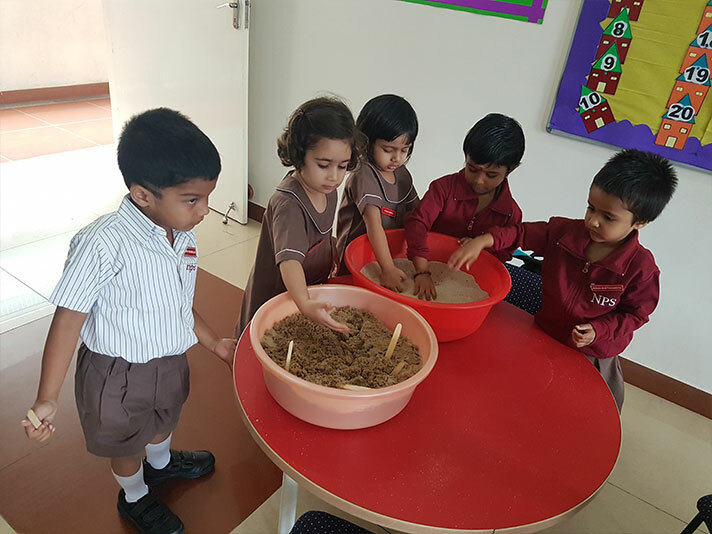 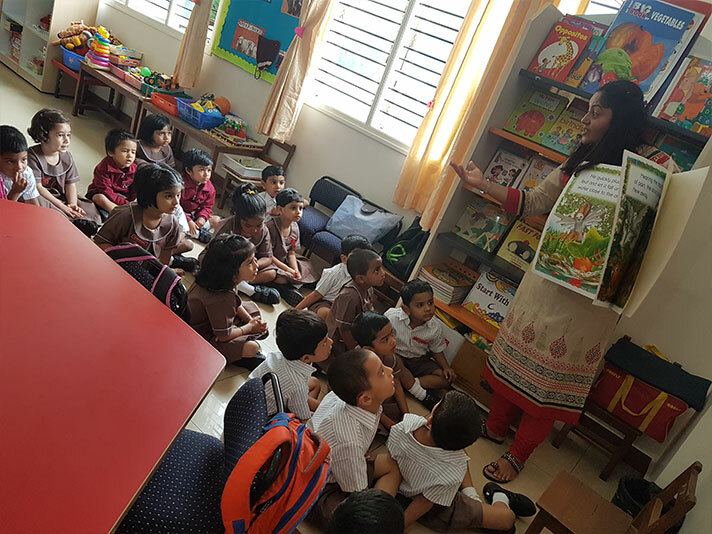 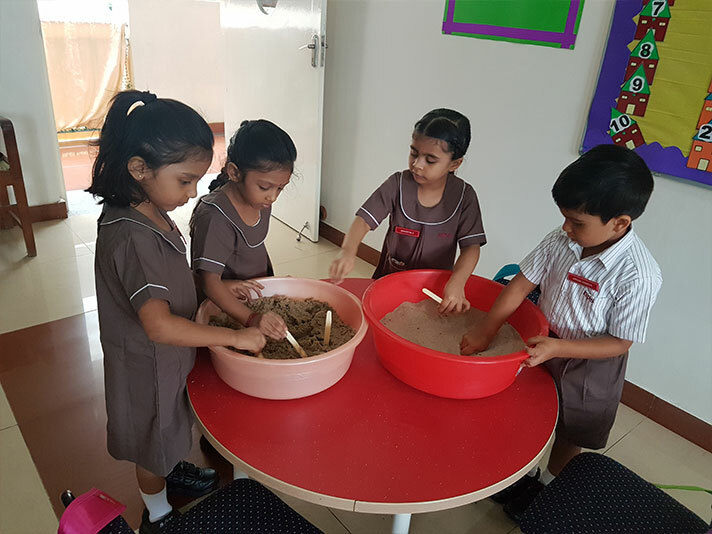 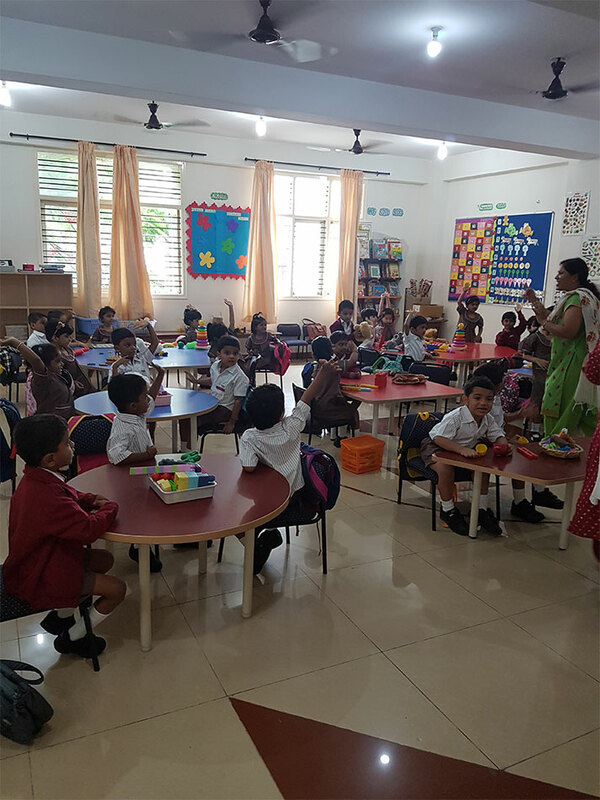 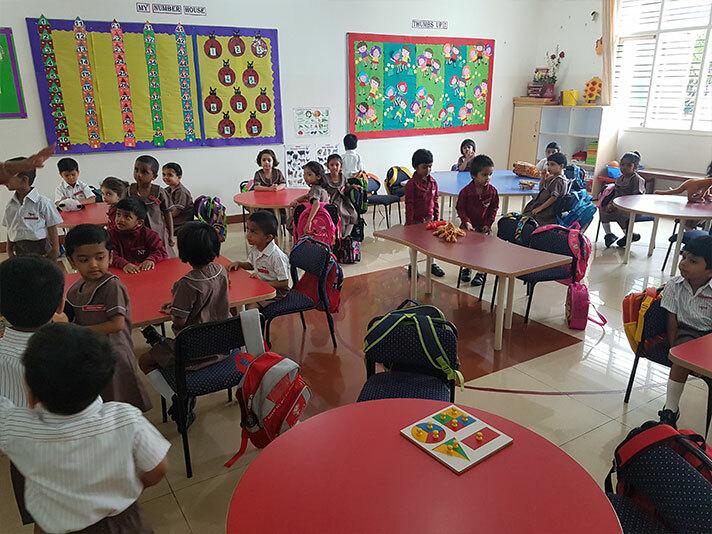 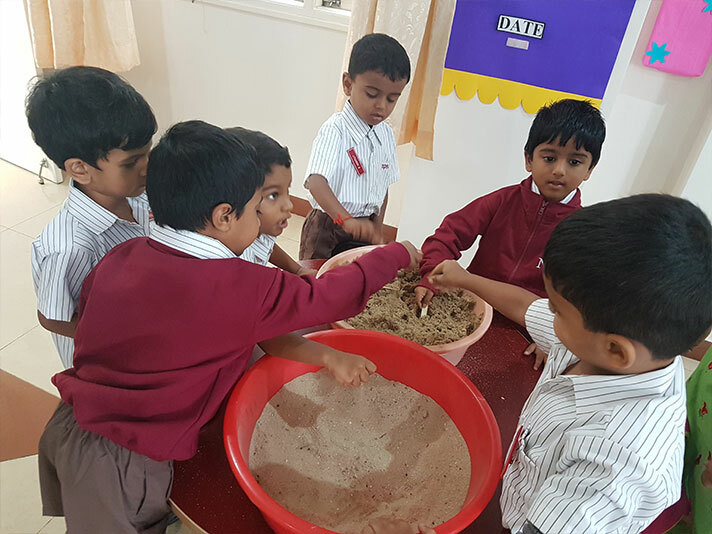 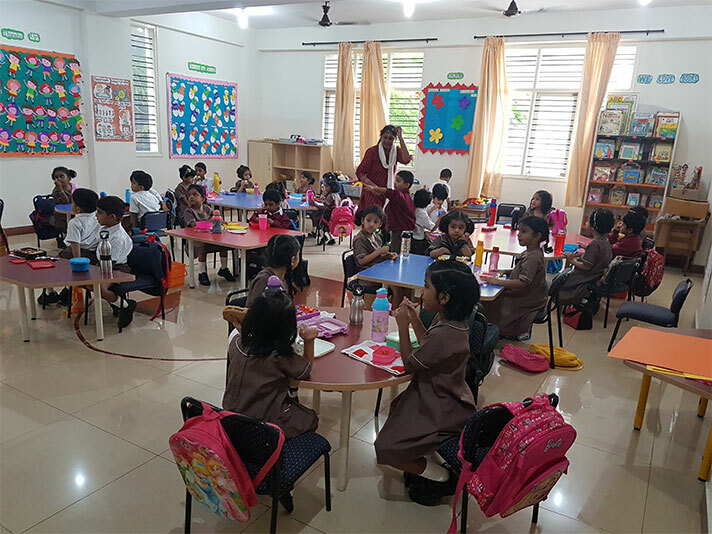 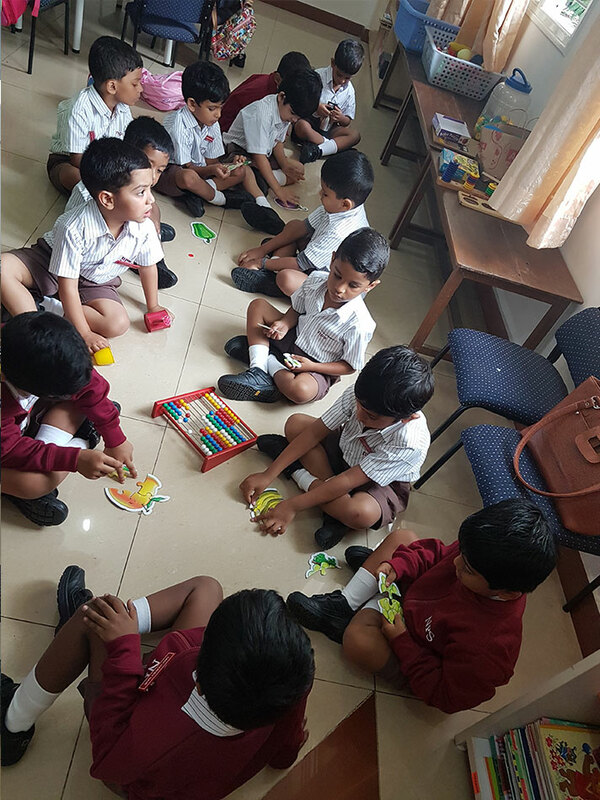 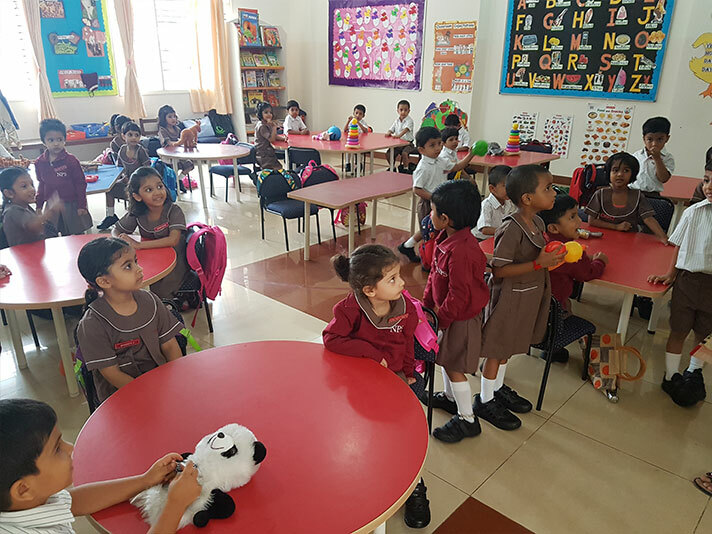 The first day of the Kindergarteners at NPS Indiranagar was more of smiles than tears or fears, acceptance of the new culture and settling in the new environment. 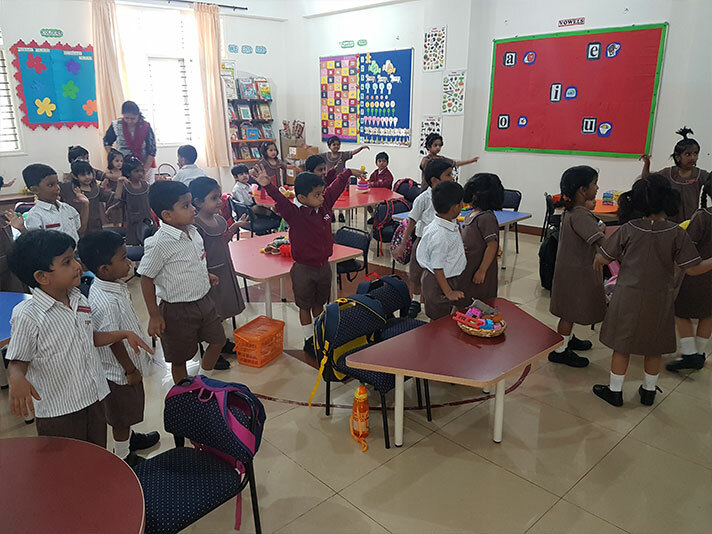 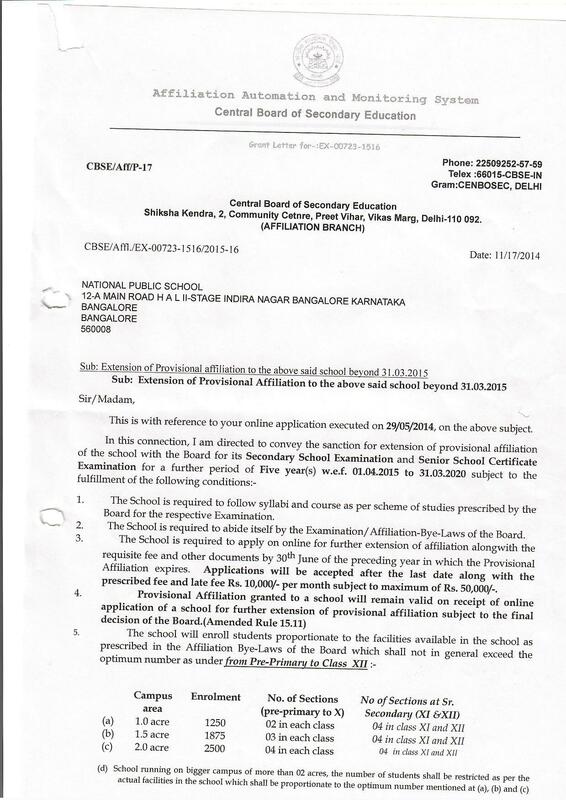 The students began their day with the school prayer followed by narration of a Shloka. 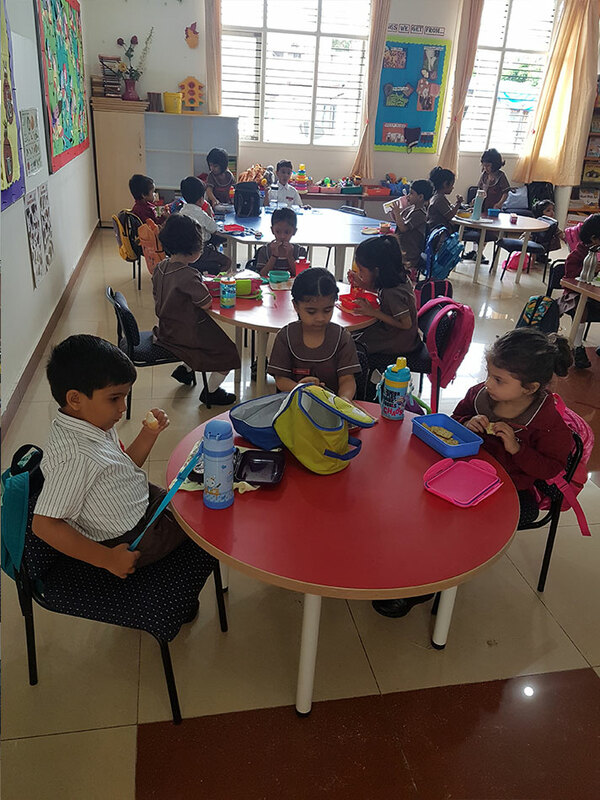 The day involved story reading, some fine and gross motor activities, a snack break and soon it was home time. 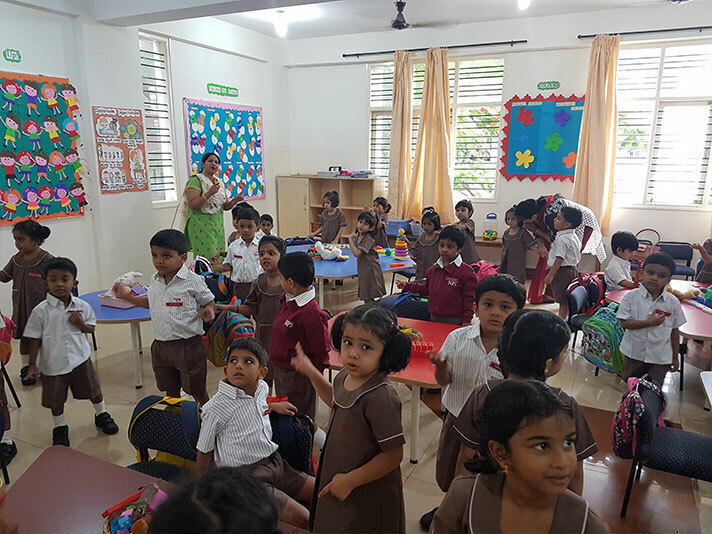 The little ones bid good bye to their teachers looking forward to more fun and learn activities for the next day.